In small towns where everyone knows each other, people don’t lock their doors – except at zucchini harvest time! If you don’t lock your doors people will leave tons of zucchini there. Until about forty years ago, zucchini was almost unknown in North America, except in Italian-American neighbourhoods, where it was called Italian squash. Zucchini dates back 7000 years to Mexico, where it was one of the “three sisters”, along with maize (corn), and beans. That pre-Columbian trio (some would say “Trinity”) is today still the core of the Mexican diet. When European explorers arrived in the Americas, they carried these unknown foods back home with them. 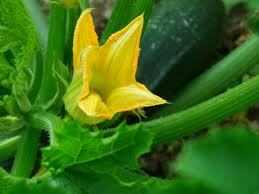 The new -world squash eventually reached Italy where it was dubbed Zucchini, from Zucca, denoting small squash. The Italians are acknowledged with propagating our modern zucchini from the indigenous American squash. Both the French and the English call this fruit Courgette, which is the tenth most favorite culinary vegetable in the UK. Mild- flavoured, ranging from savory to sweet and with more potassium than a banana, zucchini is a very versatile foodstuff, serving as a vegetable, as well as in breads and desserts. You can even bake a chocolate zucchini fudge cake! In zucchini’s birthplace, the flower is often employed in the soup, sopa de flor de calabaza and is very popular in a quesadilla variation. Zucchini’s versatility extends to salads and a popular one is topped with a bacon dressing over shredded zucchini. Bacon makes nice vinaigrette but I want to tell you about a zucchini salad that is, in a word: simply superb. Let me show you a zucchini salad that doesn’t require any cooking. Combine everything except the shredded zucchini. Now mix into the zucchini in a glass or ceramic bowl. When mixed, cover and refrigerate for at least two hours. Try this invigorating salad, goes great with outdoor bbq. :-) That being said, I love zucchini. I learned about the "Three Sisters" on a trip to Mesa Verde NP with my son. Apparently, the ancient Puebloans grew them, too. Andrea: The flavours are great indeed. You'll probably have enough zucchini left over to assemble this exquisite salad. Torviewtoronto: Thank You Tor, I appreciate your interest. Susan: When we first moved here, we saw a couple deer walking across our backyard once. Some people have deer eating their shrubs and such; they put netting over them to prevent deer from destroying shrubs. I might have to get netting myself, my raspberries and strawberries are being stolen, I think by rabbits. The puebloans are kin to the ancient mexican inhabitants, so share dietary habits. If you cannot grow zucchini, perhaps you could purchase some just to try this salad. I think you'll be glad you did. I love summer because I get to grow my own food. I have so many veggies right now, I don't know what to do with them. Nice recipe. This is a new recipe for me! I must make zucchini soon. so yummy! Christa: I wish I was better at growing vegetables, perhaps next year will be better. 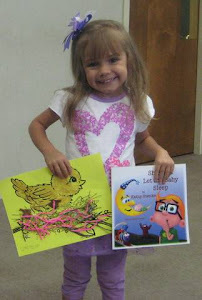 Joanne: This is special to me, I know you and your family will like it too. Jessica: OK, enjoy the zucchini. ....and home grown zucchinis get so big, compared to the farmer's market variety. Your dish sounds great, a lovely summery side. that's a nice write-up on zucchinis, the sald looks light , filling & yum ! Hey Anthony, thanks for your interest in my blog. You have a very nice blog yourself! @ Lynda - I've had chocolate zucchini cake - - YUM! I love zucchinis - - thanks for the tips! AIPI: You're right, is perfect for summertime. INDIE.TEA: Home grown vegetables always seem to taste better, particularly noticeable with tomatoes. DARLENE: Yeah, if you live near someone growing zucchini, just hang around awhile. Try it, you will love it. hanks for the compliments, and yes lemon meringue april 15,2011)is indeed a scrumptious dessert. LYNDA: Well, if you can make a cake with carrots, zucchini sounds logical enough. AARTHI: Thank you so much for your gracious comments. PRIYA: I'm happy you liked the post, and sure you will love the salad. DUNCAN: Thank you for your visit. MARGO: Thank you for commenting, zucchini is a great fruit/vegetable. What perfect timing for this delicious sounding recipe! I have a load of zucchini left over from the quesadillas I served last Saturday and your salad will be perfect with the Chicken and Chorizo with peppers, mushrooms and onions that I am making for dinner tonight! Sorry I have not been on your blog for so long but I was all wrapped up in the party last week and this week and next week I am working full time filling in for a friend at her job. It has been 6 years since I have put in a 40 hour week! Not doing too much cooking either. Thank you so much for all of your comments, especially the one about James Beard being proud of me. So does that mean I now have a James Beard award (ha ha)? Awesome - now I'll be prepared in case some hooligans break in and leave mounds of zucchini behind. Sounds great! Usually I cut up zucchini into slices and place them in a large baggie with EVOO and garlic salt, then shave vigourously before cooking them on the grill. I'll have to try this one. JOLENE: I'm not too crazy about yellow squash, but I sure love zucchini. SANDY: Yeah you right, zucchini goes good with sausage, peppers and onions. AND in the salad. Your impending cookbook may very well win the James Beard award. I haven't worked a 9-5er since 2006, just writing from home. Is slowing down but that's ok.
btw- went to Quality Foods where Polar brand canned mango slices were reduced to 87cents per can, bought all 22 they had on the shelf. NICKI: How about Shirley Ellison's "Name Game" song? In the meanwhile, check the lox, I mean locks on your doors. Wow! This looks like a great recipe--and easy to prepare as well! Zucchini isn't one of my faves, but this recipe looks good enough to try! NUTSCHELL: Even though not your fave, zucchini is so versatile you can use it in many ways, thereby putting variety in your day to day dining. It's the story makes me warm. Always looking for zucchini recipes! This looks great; I can't wait to try it. I wonder, how well it would work with yellow summer squash? GABRIELLE: Thank You for calling, I'm happy that you enjoyed it. ELLEN: I do not care for summer squash as much as zucchini. I think you could use it here successfully, but personally I like the texture of zucchini moreso.